Whew! Just in time before tonight’s episode. I’m scoffing this as I type, and I have to say that six episodes in they’ve finally set a technical challenge that I might consider making again. It’s really quite surprisingly delicious, and officially I don’t really like apricots all that much. It’s not especially tricky, as you might have gathered from the disappointing lack of on-screen disasters, just quite time consuming. 1. In a large bowl, combine the flour, salt, yeast, milk, butter and egg with your hands until they come together to form a sticky dough. Tip out onto a floured surface and knead for 10-12 minutes until smooth and silky. 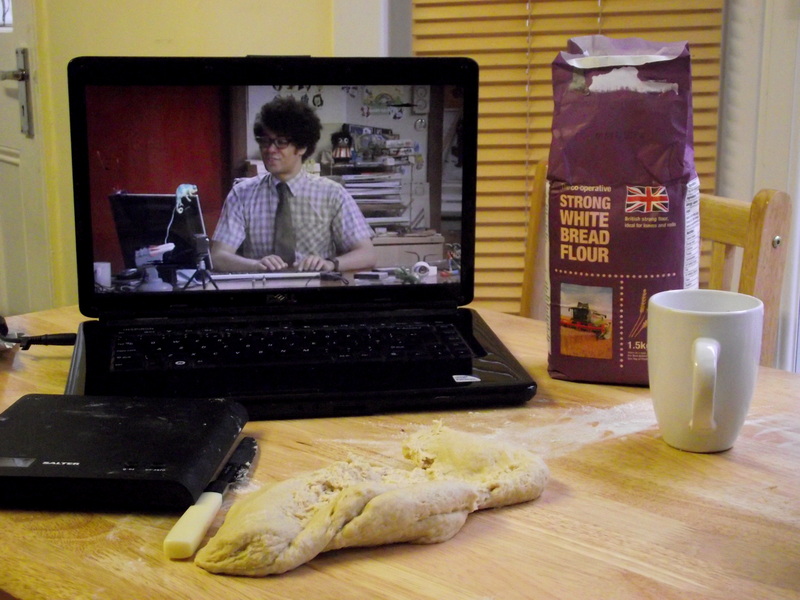 Today’s kneading viewing: the IT Crowd! 2. 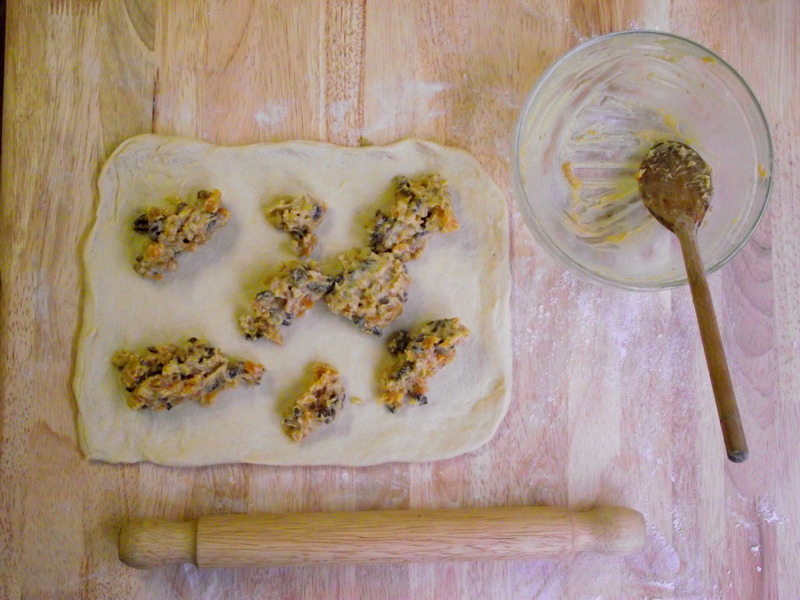 Place the dough in a lightly oiled bowl, cover with a tea towel and leave in a warm place for around an hour. 3. 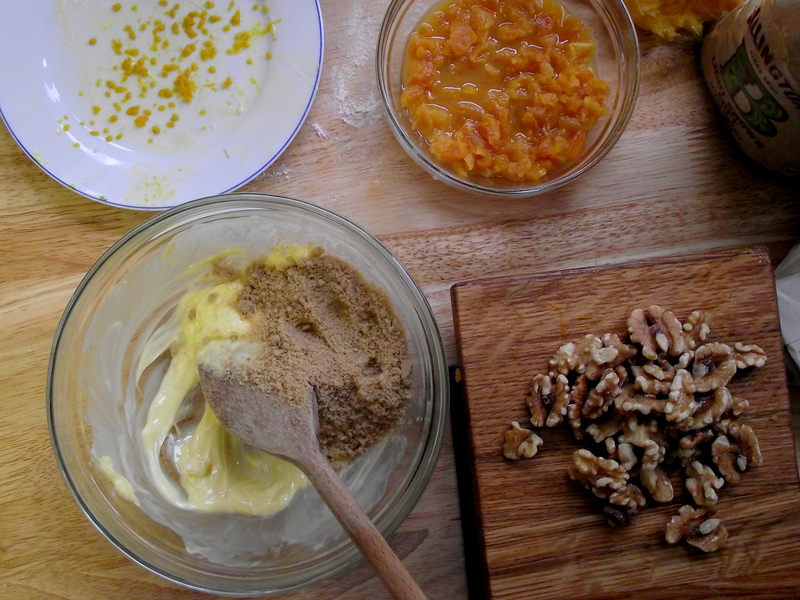 To make the filling, grate the zest from the orange and set aside. Squeeze out the juice, and use this to soak the apricots in. 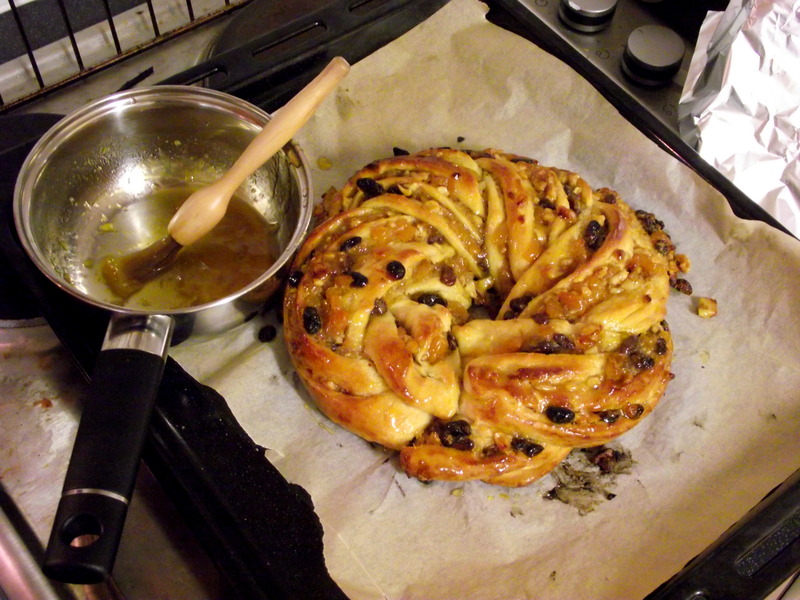 Meanwhile, beat together the butter and sugar before adding the flour, walnuts, zest and raisins. Strain the apricots and add them to the mixture. 4. Roll out the dough to a rectangle approx. 35×25 cm. 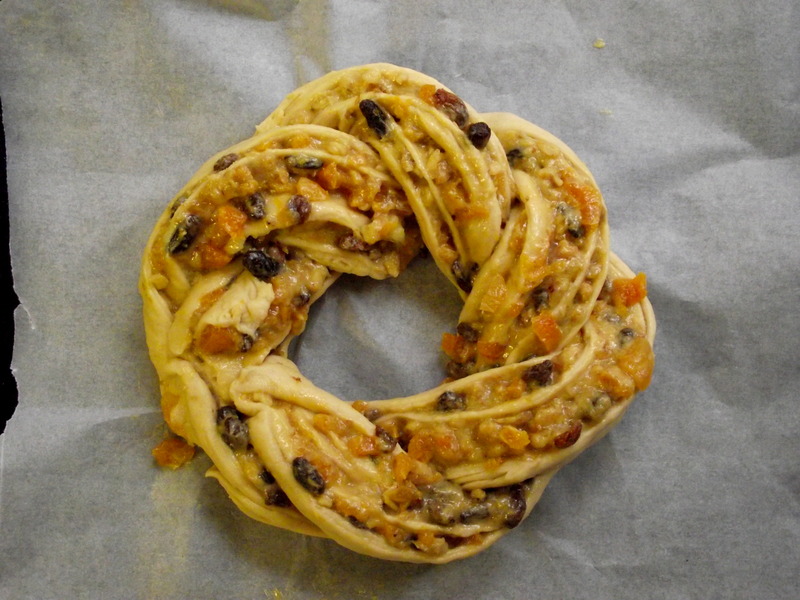 Spread out the apricot mixture on top, and roll up tightly along the long edge. Cut in half lengthways, and turn the halves so that the exposed edge is facing upwards. Twist the two lengths over and under each other to form a rope, then arrange into a loop on a lined baking sheet. 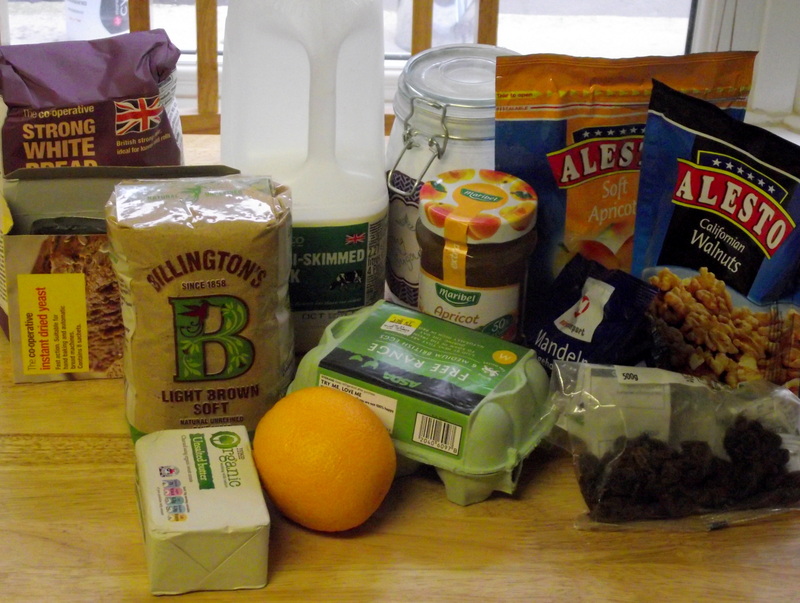 Place inside a large plastic bag (I used a recycling one) and leave for another 35-45 minutes. 5. Bake at 200C until risen and golden, covering with foil for the last 10 minutes if necessary. 6. Heat the jam with a little water, then brush the glaze over the warm loaf. 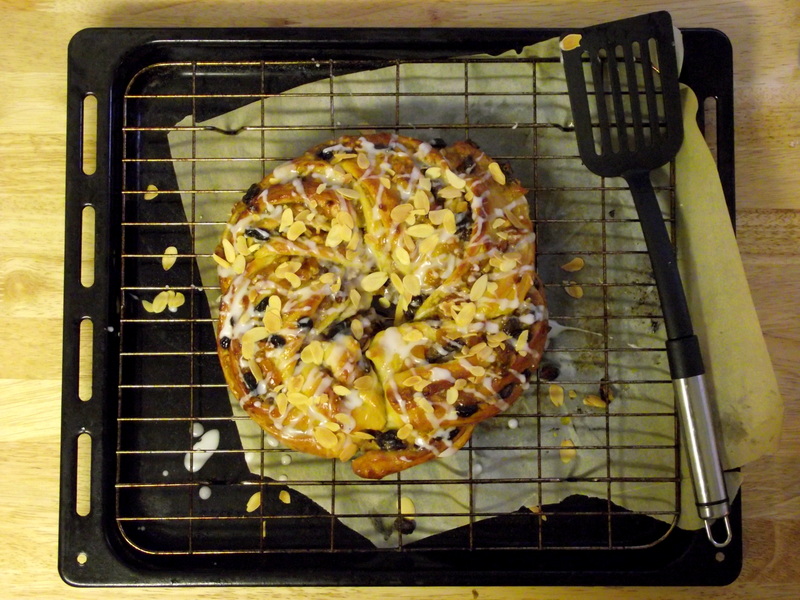 Mix the icing sugar with a splash of water, then drizzle over the couronne. Sprinkle with the flaked almonds. 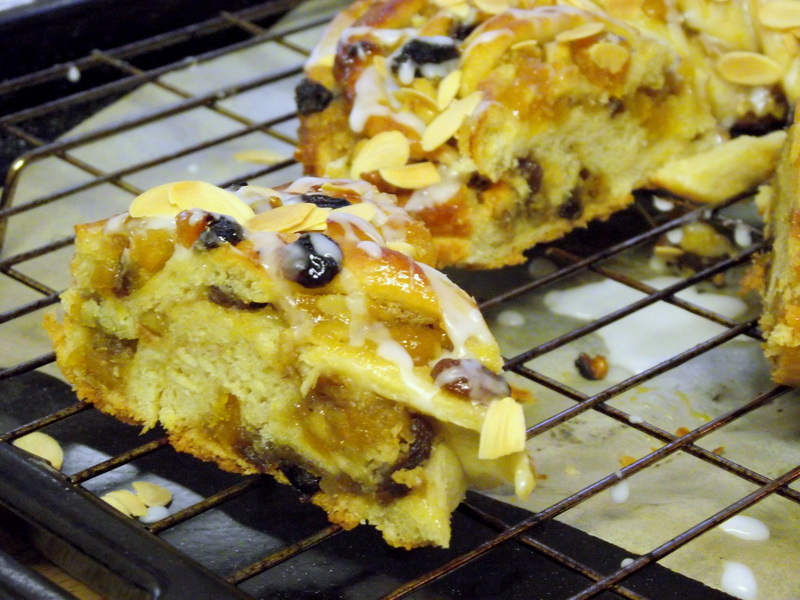 You should totally add this to the bakealong here: http://bakersanonymous.com/ Join us! I’d love to!! How do I get involved? Yay! Just add your posts to the comments in the episode recaps and follow @bakersanonymous on twitter.